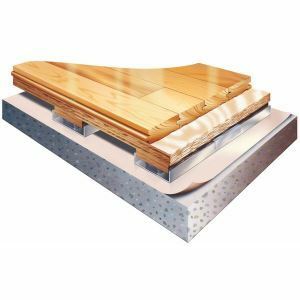 This floor system utilizes high performance 7/16″(11mm) natural rubber pads attached to a durable laminated sleeper retained within an anchored continuous steel channel to deliver a floor system with stability, and strength. This floor system utilizes high performance 7/16″(11mm) natural rubber pads attached to a durable laminated sleeper retained within an anchored continuous steel channel to deliver a floor system with stability, and strength. The Action PowerChannel Floor System is suitable for high performance arenas, gymnasiums, multipurpose, indoor running facilities and stages.